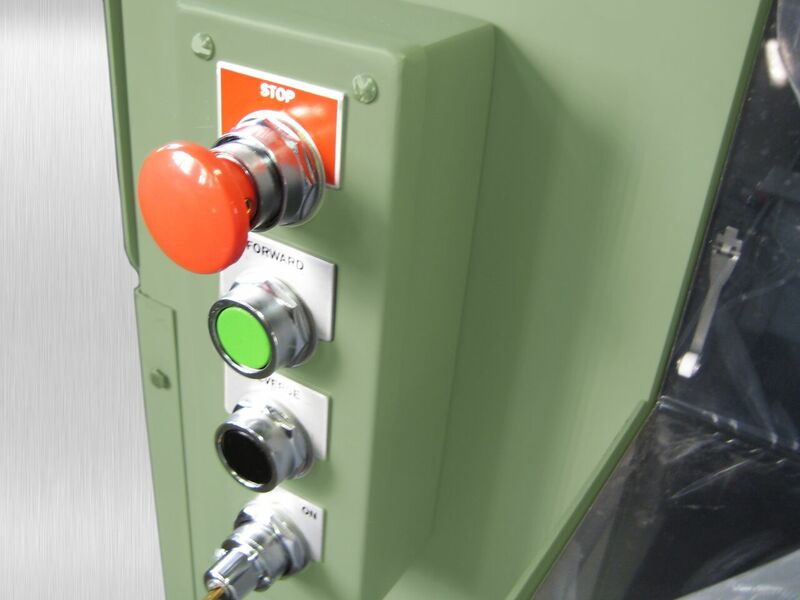 The IS 20RC-V is equipped with two limit switches for operational safety. The first switch is located behind the Plexiglas shield located above the conveyor. If the shield is lifted it will stop the motor. The second switch is located beneath the hood of the rotating reel cutter. 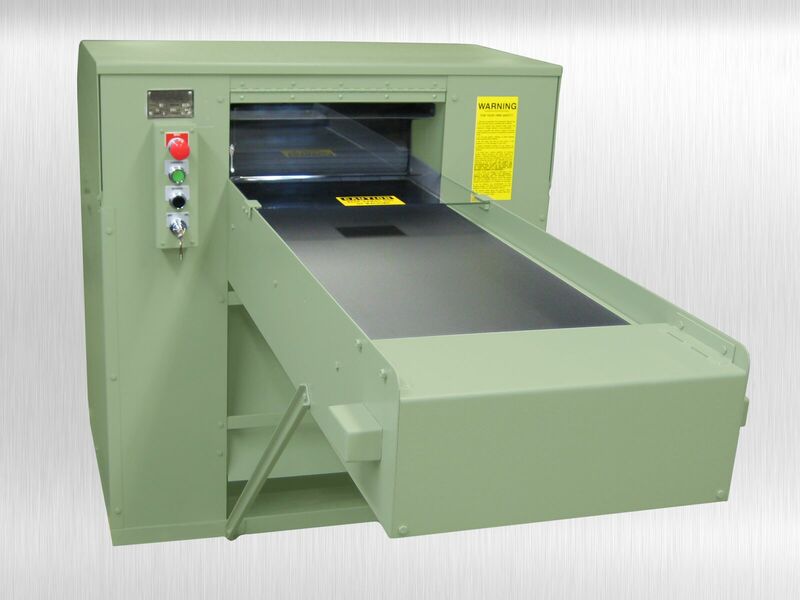 If the hood is lifted during operation the machine will stop the motor.